One of my students recently told me that I had changed the way in which she observes the world. This is exactly how I felt when I made my first basket. My garden and my local environment suddenly became a resource and a whole new world to discover; which plants to use, where to find them, the season in which to harvest them and how to prepare them. ​I have a broad experience of teaching all agegroups and abilities. 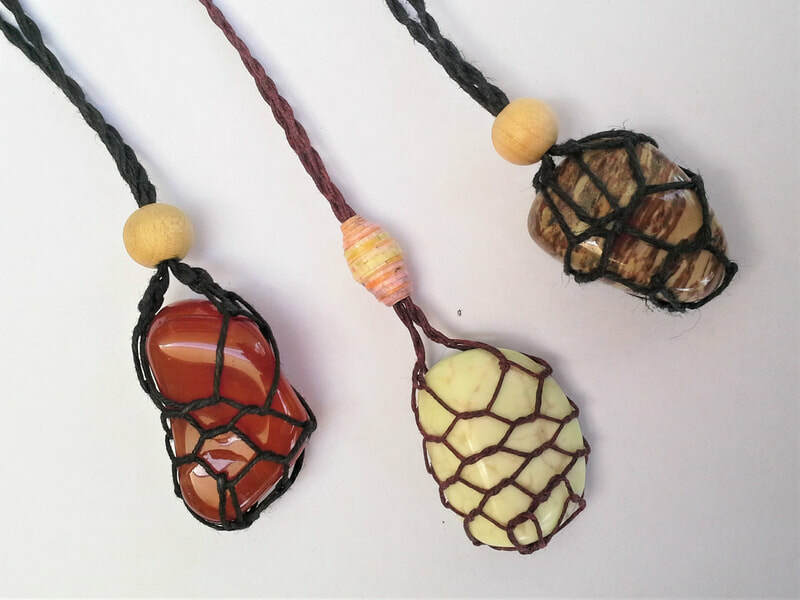 In my workshops I aim to inspire and encourage even the most cautious beginner in a gentle 'hands on' manner. 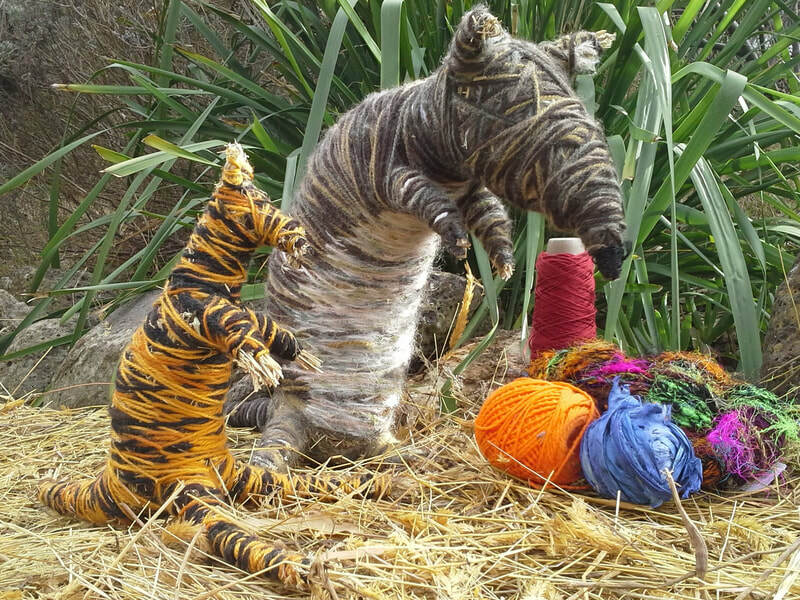 For those seeking to improve their skills I welcome the opportunity to share with them my knowledge and passion for basketweaving and sculptural fibrework. 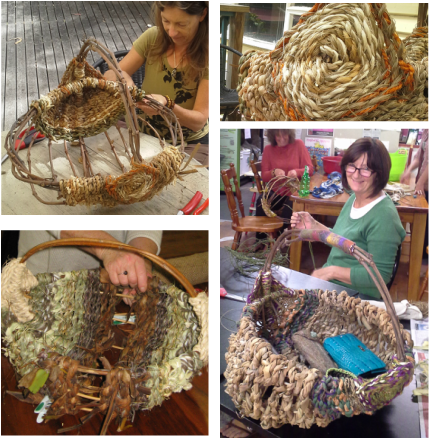 A hands on introductory session with the aim of discovering suitable local resources for making baskets. 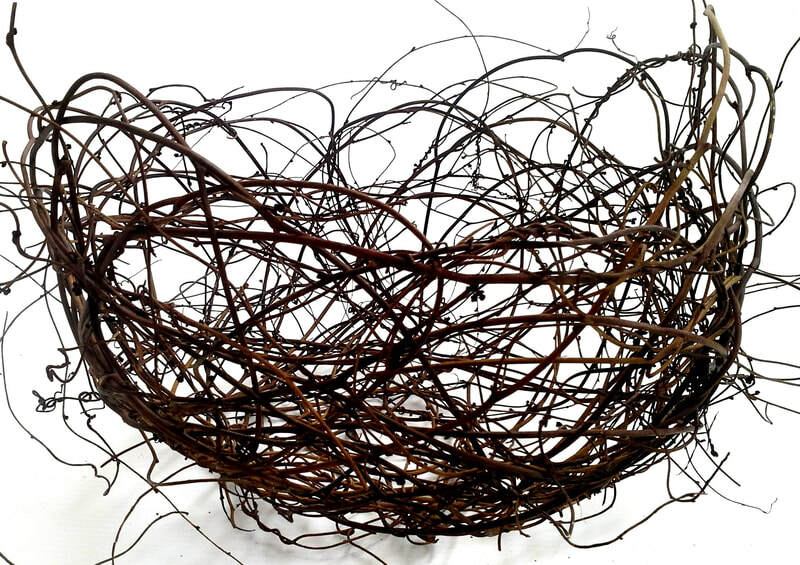 I will bring examples of the different styles of baskets for inspiration, describe the materials used in each, how, where and when to harvest and prepare them. The session includes a walk around the local area or participants gardens to identify suitable plants and gather them. Preparation of plant material, varies according to each plant. 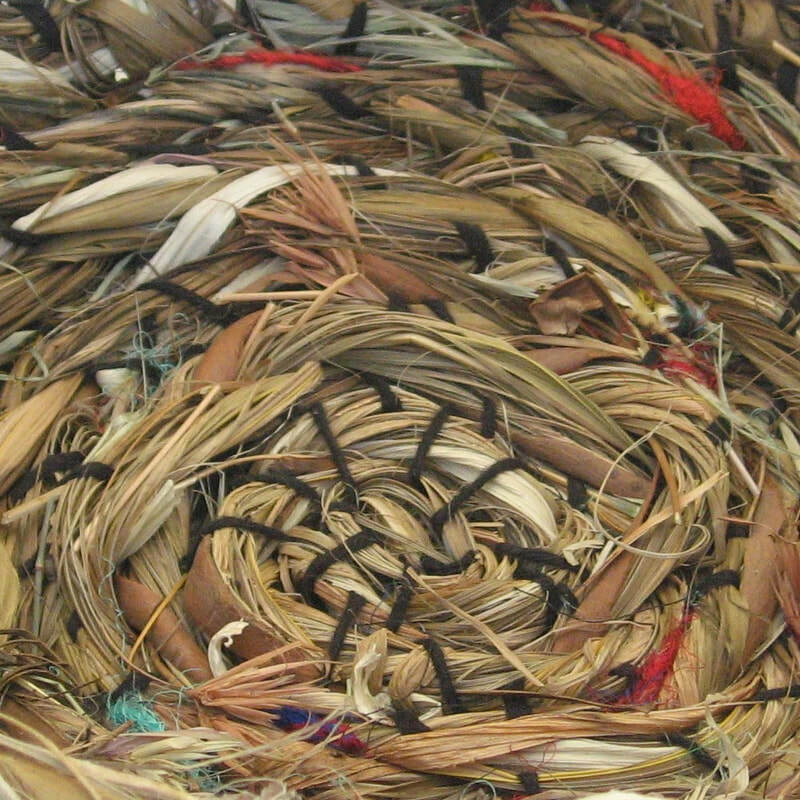 Most will need to be dried for a few days or weeks, some can be stripped and turned into twine, which I will also teach. 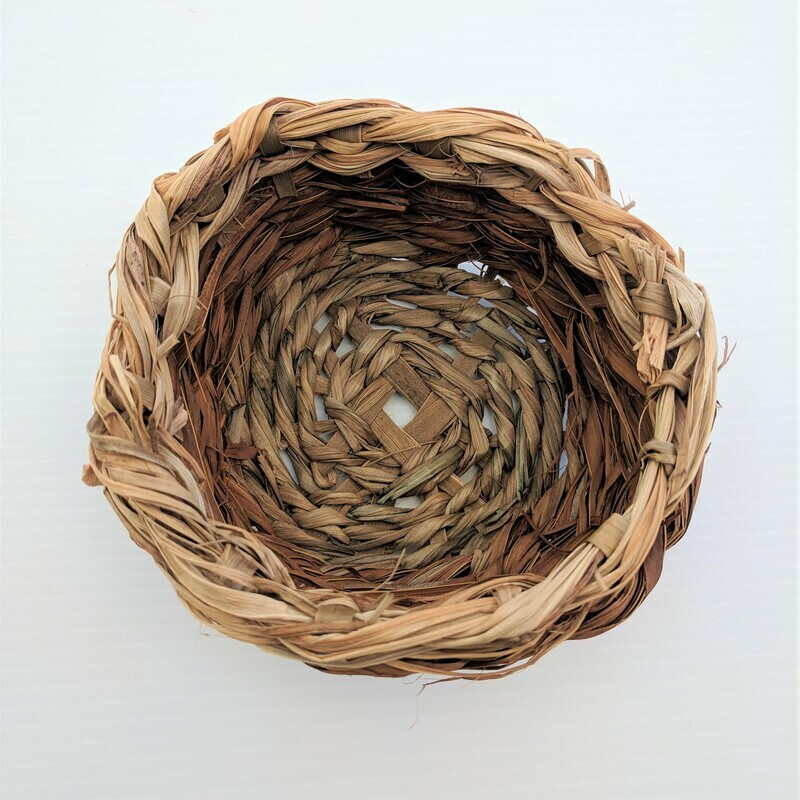 This basket is made by twining a pair of fibres around a frame using cordyline with a selection of options to use for twining materials. 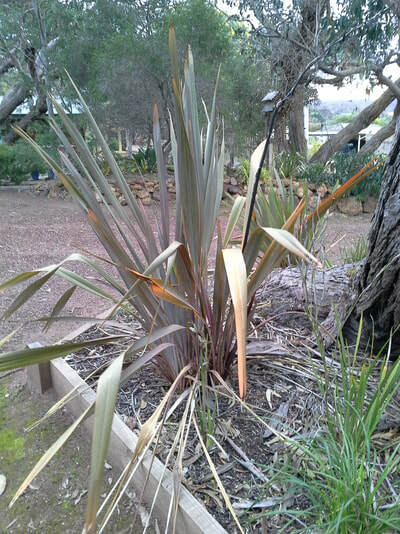 *Information on suitable plants to use and how to gather and prepare them. 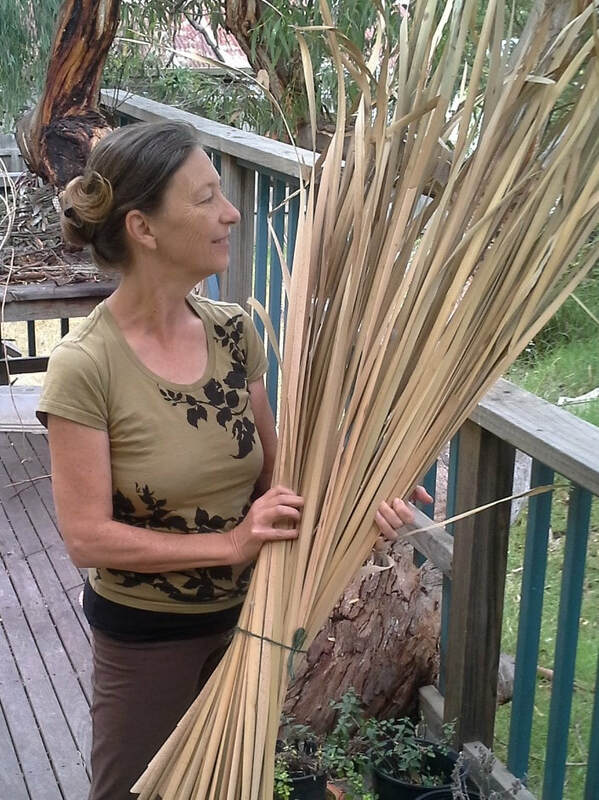 ​Learn how to use ‘combungi’, the aboriginal term for bulrushes, to make a small round basket. 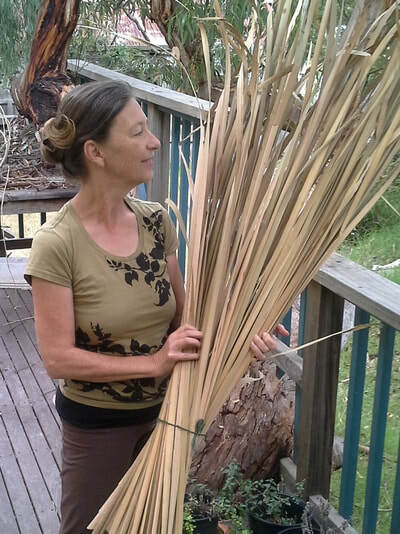 The rushes are twined around stakes in a method common to basketmakers around the world. 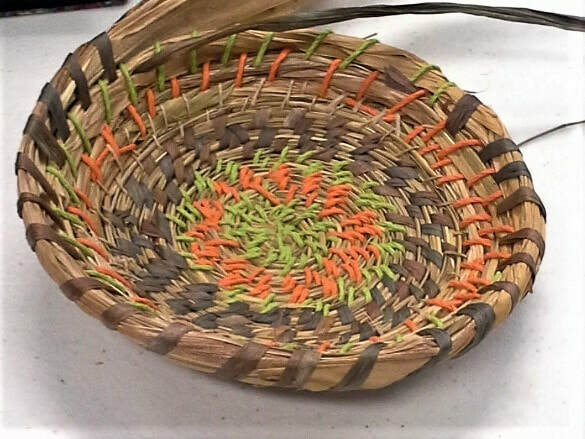 A four session course, which includes learning various basketry techniques and a substantial amount of material. 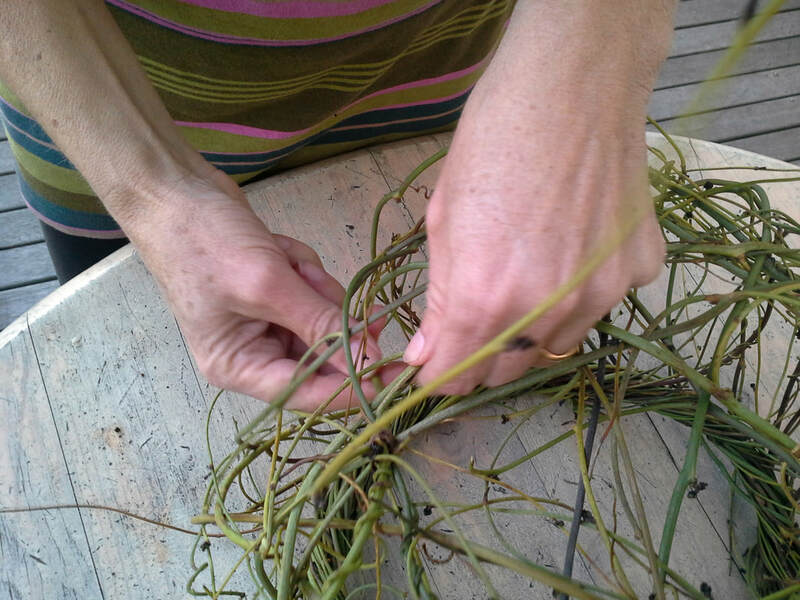 Particpants are required to collect some of their own materials and work on the various stages at home. However when complete, there is an immense amount of satisfaction and a useful basket! Several of the techniques for the melon basket can be practised first on this smaller project. 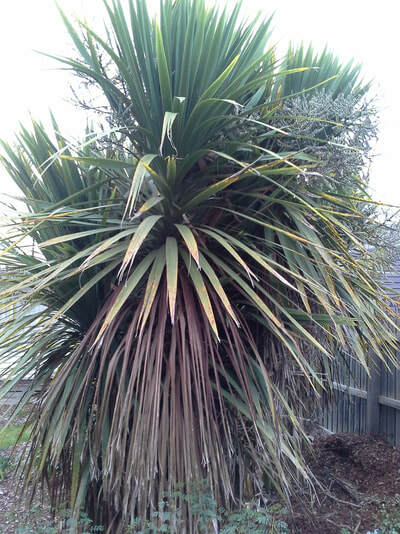 Cordyline is used for the skeleton of the fish, with mixed plant fibres and/or fabrics for twining.